During the combined event, United States Rotax Grand Nationals (USRGN) and US Open, Rotax MAX engines for 72 drivers will be raffled at New Jersey Motorsports Park in Millville, New Jersey June 22-25, 2017, to provide fair competition on a level playing field. Concentrating on the joint event, GoRotax will ensure equal opportunity, as up to 72 brand new sealed Rotax engines will be raffled among the Rotax 125 Micro and Mini MAX competitors – 36 engines in each class. Due to the engine pool, entries for Micro and Mini MAX will be capped at 36 per class and the engine raffle will take place on Wednesday afternoon. “We would like to attract kart racers to participate at the fairest karting competition ever on US ground. That means equal performance for everyone and only the driver’s ability counts,” said Patrick Moreau, event coordinator. In New Jersey seven Rotax 125 MAX classes will be ready to race for the crown (Micro MAX, Mini MAX, Junior MAX, MAX, MAX Masters, DD2 MAX and DD2 MAX Masters). The participation is open to all drivers from the United States as well as international competitors. As previously announced, 13 Rotax MAX Challenge Grand Finals tickets* will be awarded at the US Rotax Grand Nationals/US Open event in New Jersey. In addition to the Rotax classes, KZ and Honda shifter classes (Senior and Masters) will complete the class listing for the event. The Rotax MAX Challenge Grand Finals is the season’s highlight of Rotax karting and will take place November 4-11, 2017 in Portimao, Portugal. Every year competitors from almost 60 countries qualify for the annual race. The future focus of Rotax karting is based on putting more effort into the club and regional karting program than to focus on several big national events only. Consequently, it has been decided that the US Open in Las Vegas will not take place. Nevertheless, the US Rotax Grand Nationals with international participation will remain the crowning Rotax karting event in the US where the best meet to race. The structure will be the same, like at the International Rotax MAX Challenge (IRMC) in South America, where drivers participate in national races and the best out of them meet at the IRMC to battle for the victory. USRMC Grand Nationals/US Open online registration opens Monday, May 15th. Visit GoRotax.com for the registration link and event information. 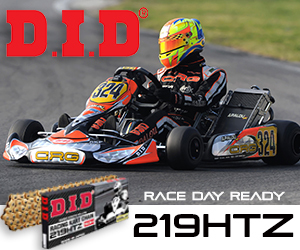 *Six tickets are reserved for US citizens only (Rotax Micro MAX, Mini MAX, Junior MAX, MAX, DD2 MAX and DD2 MAX Masters) and seven are open for US and foreign competitors (Rotax Micro MAX, Mini MAX, Junior MAX, MAX, MAX Masters, DD2 MAX, DD2 MAX Masters).